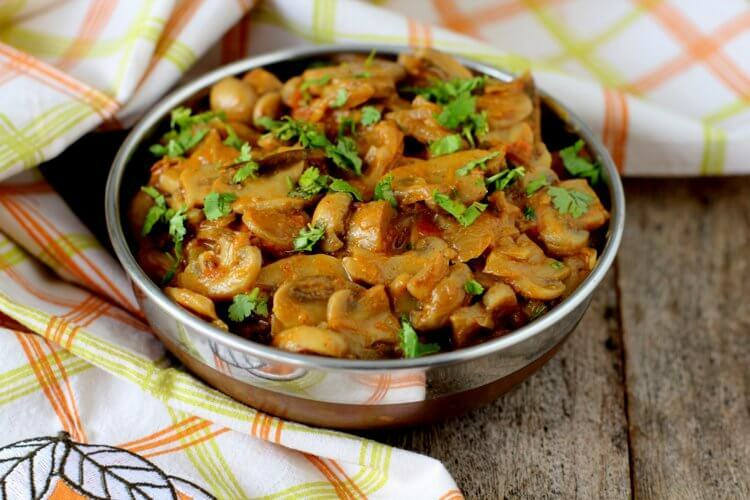 Mushroom fry is one of those easy to make stir fry dishes that makes for a delicious side with chapati or rotis. 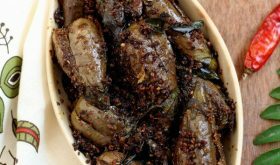 Mushrooms hold a special place in my kitchen and its a shame that I have not blogged any mushroom recipes except for the restaurant style mushroom pepper fry which is my son’s favorite. I usually make mushroom dishes for our evening meal and I do not shoot images after 4 pm hence you will not find them on my food blog. 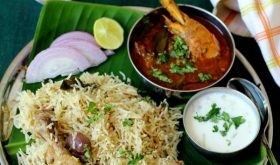 I have received many requests for mushroom recipes Indian style like mushroom masala, mushroom manchurian, chilli mushroom, mushroom biryani and of course andhra style mushroom dishes. I have decided to do a series on mushroom recipes for my dear readers and am starting off on a very simple yet extremely flavorful mushroom fry. 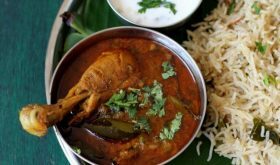 In North India, edible mushroom is popularly called kumbh and down South in Andhra its called puttagodugu. Mushrooms are much loved and prepared by home cooks due to its flavor, nutritional benefits and makes for a great substitute for meat. I try different variations of masala spice mixes each time I make mushroom fry. I like to use spices sparingly so that they do not overpower the real flavor of mushrooms. Even the texture of the mushroom fry that I make each time differs, sometimes its completely dry saute or a semi wet consistency fry. 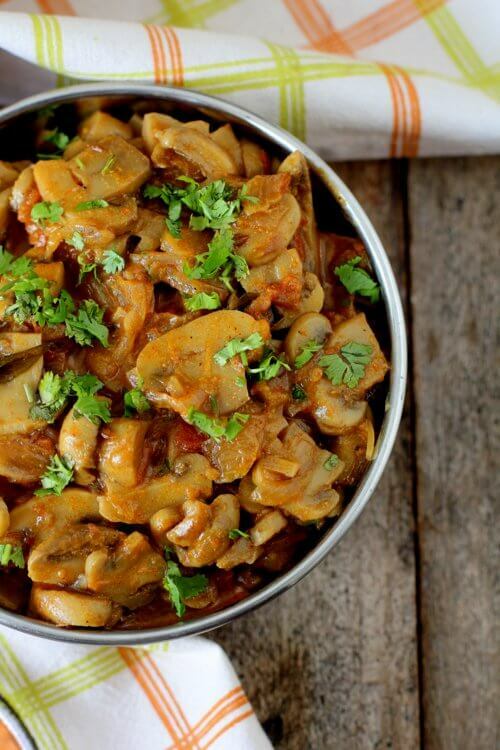 Today’s recipe is one those meatless, vegan friendly mushroom fry Indian style that you must try if you are a fan of mushrooms. The sauteing of mushrooms in ghee, coconut milk, freshly crushed pepper corns and lemon juice add an aromatic dimension of flavor. Give this easy mushroom fry recipe a try and you will be surprised at how delicious this stir fry turns out. 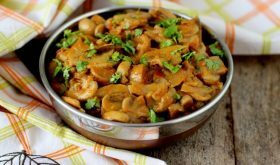 Serve it with chapati, roti or rice as it makes a great side and do add mushroom fry to your list of Indian food recipes using mushroom. 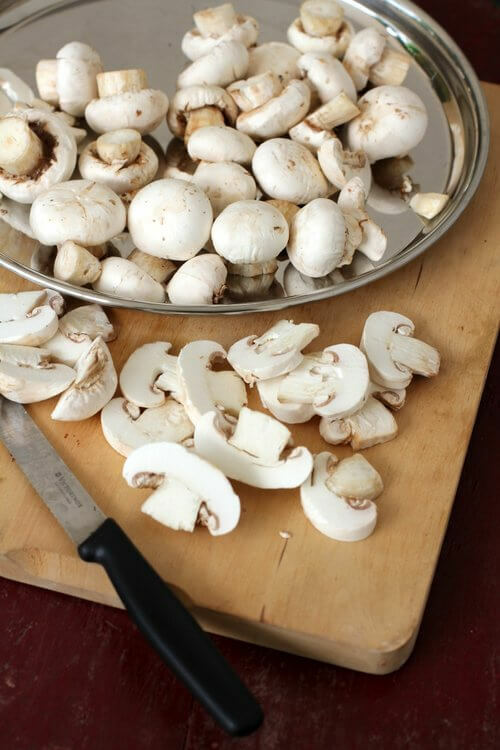 Clean mushrooms of all its dirt, trim the stems and slice them. Place them in salted boiling water for 30 seconds. Strain and pat dry with a clean towel. 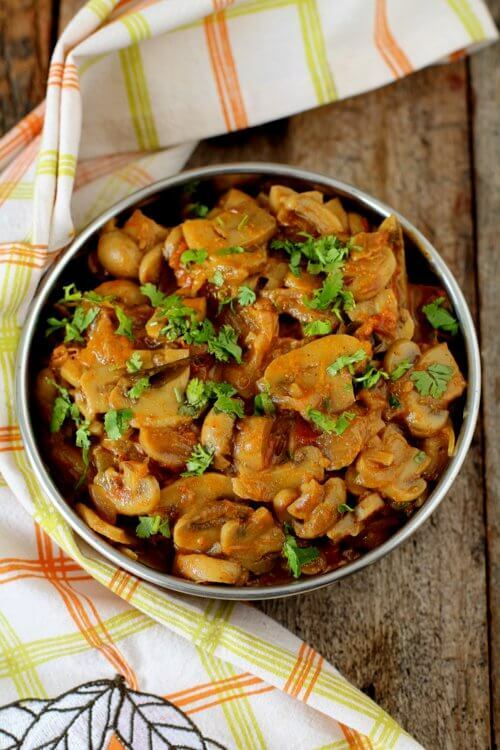 Heat ghee in a cooking vessel and saute the sliced mushrooms for 6-7 mts on low medium flame. Remove from vessel and set aside. In the same vessel, add the oil and heat it. Add the sliced onions and saute for 4-5 mts. Add ginger garlic paste and green chilis and saute for 5 more mts till oil separates. Add turmeric powder, red chili powder, coriander powder and saunf powder and and mix. Add the chopped tomatoes and saute for 5-6 mts. Add the sauteed mushrooms and mix well. Add few tbsps water, coconut milk and salt and mix. Simmer on low medium flame for 10 mts or till there is no moisture and has a semi wet or dry consistency. Increase flame and saute for a mt, tossing the contents continuously so that it does not burn. Add garam masala powder, freshly crushed pepper corns and lemon juice and mix. Turn off flame. Remove to a serving bowl and garnish with fresh coriander leaves. 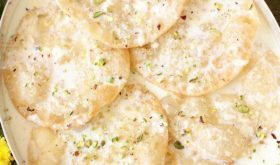 Serve warm with chapati, roti or rice. If you do not have coconut milk on hand, add a tbsp of malai or cashew nut paste mixed in little water. 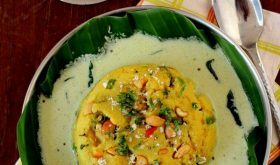 Vegans can omit ghee and use oil. By Sailu Published: January 29, 2016 Mushroom fry, a simple, quick, easy stir fry that goes with chapati, rotis and rice. How to make mushroom fry, a gem among mushroom recipes. Just stumbled upon this post while searching for mushroom recipes online. Not a fan of mushrooms but after recently trying a dish in a restaurant I kind of liked it and thought of trying some at home. This recipe looks perfect plus I enjoy fried stuff. I will be trying this this week. The images in the post look really great … makes the dish look really delicious. If you try this mushrooom fry, do share your feedback and if possible share an image of the dish prepared. Thank you. We tried the recipe today. My husband cooked it for me. It was delicious. There was no coconut or cashew so we omitted it but it was so good that there was no time for me to even take a click. Thank you for the wonderful recipe. Will try more.